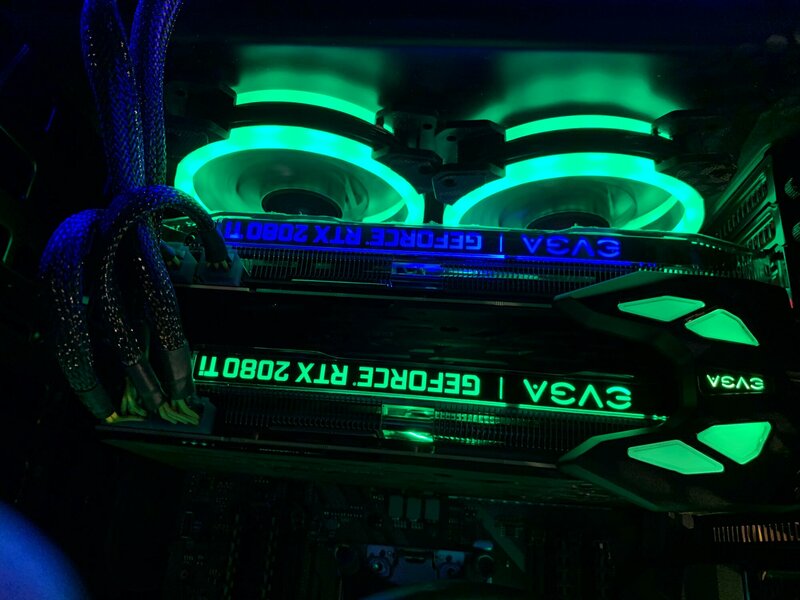 Discussion in 'Video Cards' started by ralphie1313, Feb 8, 2019. That SLI High Bandwidth bridge was designed for Pascals. 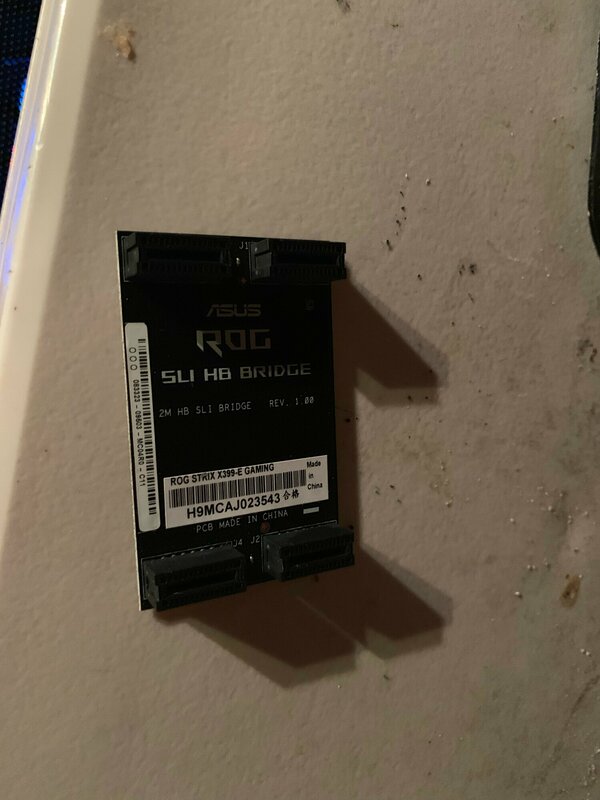 oh ok, when i build the system i only ordered it with one card so didnt get the sli bridge but a friend just surprised me tonight with another card so i had that bridge that came with it, ok i will pick up the good one thanks!! Could I be friends with your friend? trust me i spent plenty on her over the years!!! ok so I got the right bridge have another problem the power connector for these cards is 2, 8 pin power plug which I have in the first card the one plug with 6 pins and the loose one with 2 pins, not the second card I only have 2 6 pins to plug in is that ok of I need those 2 pin ones also? if it is ok also nvidia control panel is not showing sli mode ? or should I do 1, 8pins and one 6 in each card instead of 2 8 pins in one and 2 6 pins in the other? You should have a proper 8 pin (or 6+2) for each 8 pin connector. If you have the cables that have two 8 pin connectors per cable, you can totally use both, but your cables have an 8 and a 6, I wouldn't attempt that. What I would recommend, if you're already in for whatever two 2080Tis cost you, is to get a proper power supply that actually has the right cables, if the one you have doesn't. I think I would fix this first before worrying about why SLI doesn't work. That table is disgusting. Your SLI is crying because of that. bring the windex!! its my work bench!! Can you post up some screenshots? Did you fix the power issues pointed out above? What game(s) are you running? It's important to note that few games these days support SLI. Do you see this in the NVIDIA Control Panel? 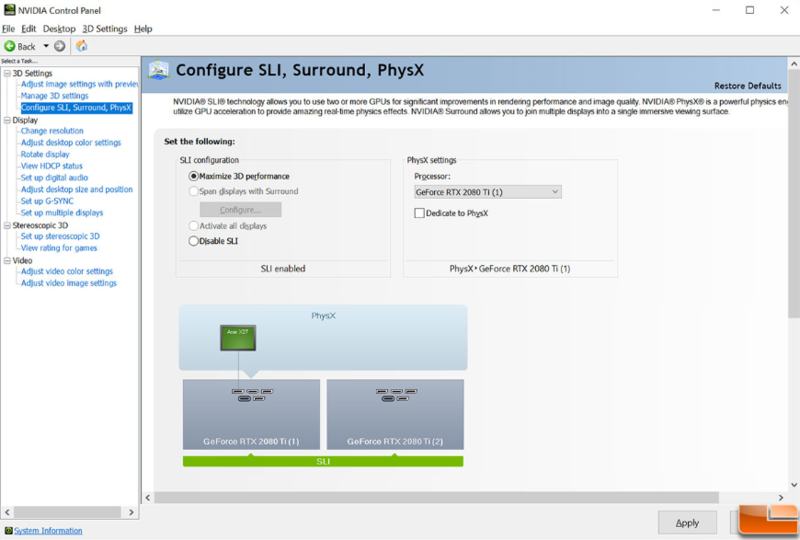 To see if SLI is working you can enable the SLI Visual Indicator in the NVIDIA Control Panel under 3D Settings. 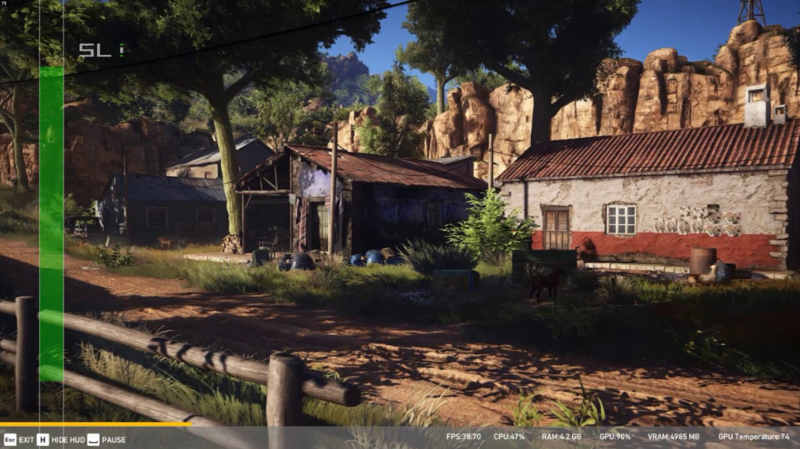 It will overlay a bar on the left side of the screen that should grow symetrically when SLI is working. If SLI is not working the bar will be small in the middle and not grow. 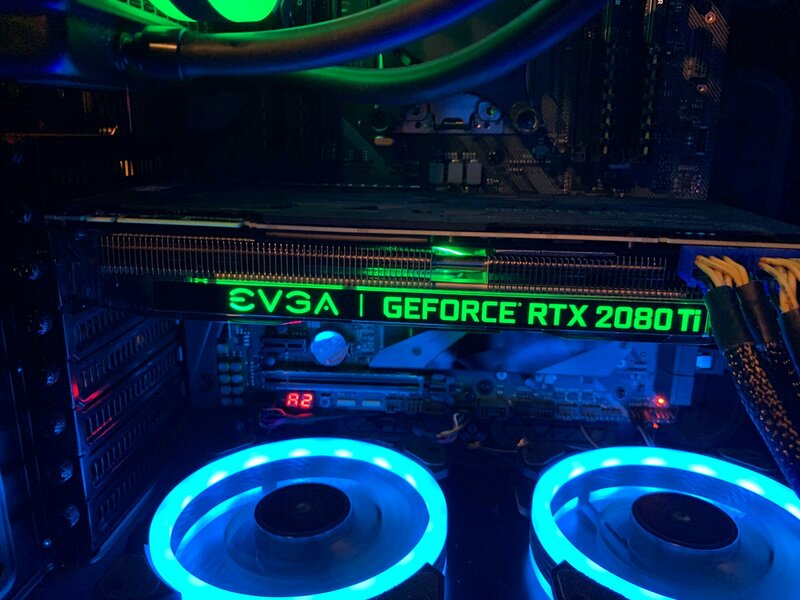 Is SLI AA still a thing? I remember there was a time where the 2nd card helped with AA. MSI Afterburner will also tell you about SLi. You can install and run Afterburner, it will give you a wealth of information. It will tell you how much each GPU is used, and the power draw. Of course, if you don'tplay games that are SLi capable the second GPU will not be used at all. SLi utilization is entirely placed on the game developer. If they don't code for it, you are SOOL. Sometimes you can get lucky and use another game's SLi profile, you insert it via the nvidia control panel. But success with that is limited. I am a long time SLi user....since the 680 GTX and when it works it's fabulous. When it doesn't your second card is wasted.